A brand new offering from the Royal Shakespeare Company (RSC) is quite the political animal. The Seven Acts Of Mercy by Anders Lustgarten swaps between the life of Italian painter Caravaggio and modern-day Liverpool where families struggle on the breadline in foodbanks and with the bedroom tax. In many ways, the two storylines could be run as short plays in their own right, but there's a strong thread that cleverly binds them. In 17th Century Naples, Caravaggio is seen painting the Seven Acts Of Mercy and despite his gruffness, he's shown to have a heavy social conscience through his friendship with a head-strong local prostitute. While in Bootle, the Caravaggio-obsessed retired dock-worker Leon is trying to teach his grandson the important values to life and compassion by using this same painting as his inspiration. 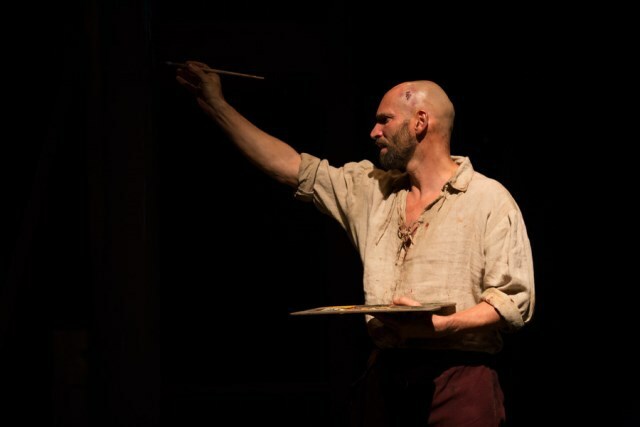 It's a provocative piece of theatre and the Caravaggio scenes hold the most attention but that's partly due to the anguish and violence portrayed as the artist is doing his first painting since killing a man and fleeing Rome with an assassin is on his tail. It's also due to the electric performance by a marvellous Patrick O'Kane, playing the iconic and deeply tormented Italian artist, refreshingly with a strong Liverpudlian accent. It sounds odd but somehow it works. Meanwhile in Bootle, the instantly recognisable Tom Georgeson - a well versed 79-year-old actor from many a film and TV show like Boys from the Blackstuff, G.B.H and Between The Lines - carries the most weight as concerned, caring Leon. Through his grandson Mickey, the audience is taken through a modern day equivalent of the seven acts of mercy - to visit the imprisoned, feed the hungry/refresh the thirsty, clothe the naked, bury the dead, visit the sick and sheter the homeless. All in all, despite the plea for compassion, it's an angry piece of work. It's a rage against social policy and injustice on housing, benefits and taxes as well as the political landscape at the moment. It's so new that there seems to be a favourable nod towards Corbynism and Lustgarten has even added a scene involving the new bedroom tax, as it unfolded while he was still writing the final drafts. No political party escapes Lustgarten's scepticism and if anything, it's New Labour that faces the most wrath in a particularly funny scene where Leon's monologue compares each party to a football club. But this is from a playwright whose not afraid to make a political statement. So far, his works have focussed on Zimbabwe after Mugabe in Black Jesus and migration issues in Lampedusa. His vision has been created on stage through a collaboration with director Erica Whyman, the deputy artistic director at the RSC. 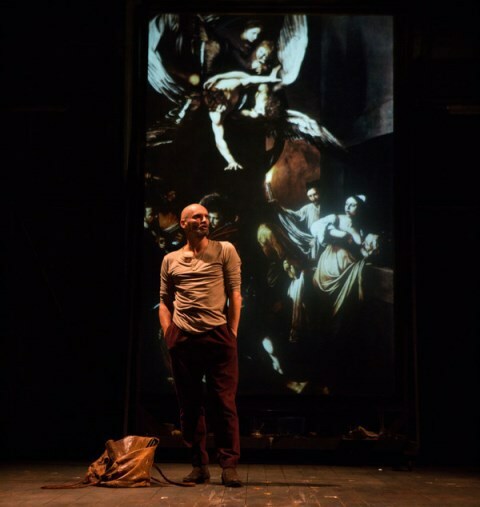 The set is beautifully visual with Caravaggio's stunning paintings projected across the stage and explained in part by Leon to his naive grandson Mickey. This use of art reminded me of an excellent play that did the rounds several years ago called The Pitmen Painters by Lee Hall. There is lots to enjoy about this new production and while the Bootle scenes are often the more emotional and thought-provoking, the narrative can be somewhat preaching at times and lacks the subtlety of the Caravaggio sections. 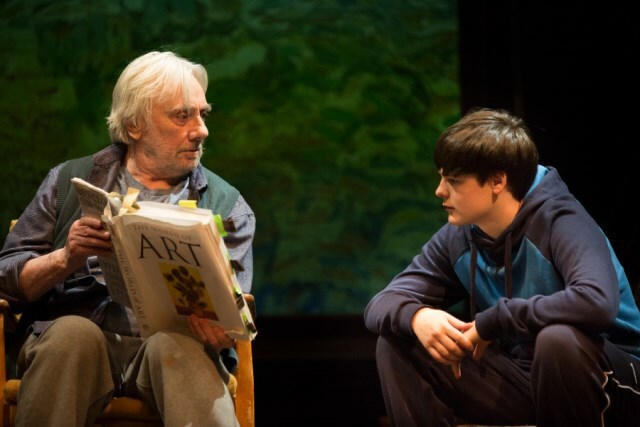 That said, The Seven Acts Of Mercy is an exciting new powerful piece of work from the RSC. The Seven Acts of Mercy continues at The Swan Theatre, in Stratford upon Avon until February 10, 2017. Tickets cost from from the box office on 01789 403493 or through the RSC website.